A freshly picked organic courgette is a delight that hardly needs embellishment. We get them to you from our fields as quickly as possible. Roast, griddle, fry, or ramp up your 5 a day with courgetti (courgette spaghetti). Raw, slow-cooked, fast-cooked or grated into cake batter, there’s (almost) nothing you can’t do with them. 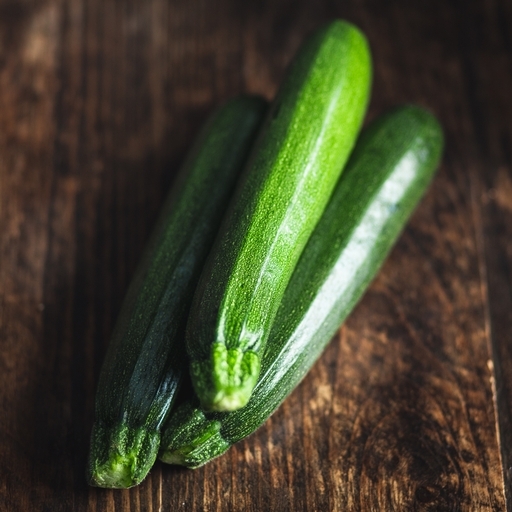 Young courgettes are succulent raw – grate or pare into long ribbons with a peeler, then toss with olive oil, lemon juice, salt and pepper. For a good summer salad, slice lengthways into 5mm strips, brush with olive oil and griddle both sides. Toss in a dressing with Puy lentils and feta, or with white beans and cherry tomatoes. Keep in the fridge. They’re at their best eaten very fresh, although they’ll look fine for a week or more. The UK season runs from June to October. They’re a great crop for gardeners and allotment growers. Grown in Spain and Italy. We grow courgettes on our Riverford farms between June and October. We also harvest them on our French farm in May, where they come just ahead of the UK season. During the rest of the year, we get them from our growers in Italy and Spain, including Paco Sanchez in Andalucia. He doesn't stop at courgettes though - he's always trying out new varieties and crops for us.